I’ll be honest, I kept looking, but I couldn’t find any other good free pixel font makers. If you find a good one, leave me a comment! While I’m giving you the tools you need to make pixel fonts, I may as well share some of the things I’ve learned while creating them. 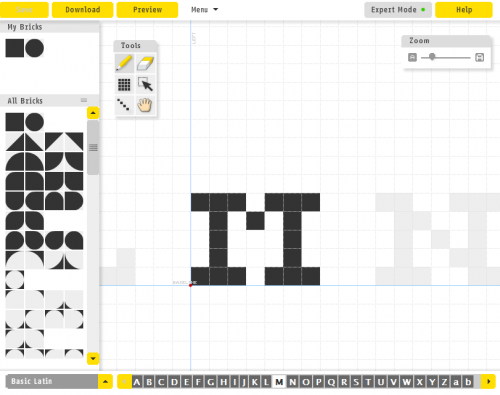 Almost all of your letters will be the same size, so your first step is to decide on the size of your pixel font. 3×4 is probably the smallest pixel font size there can be, but there’s hardly any room for variation, and is hard to manage. 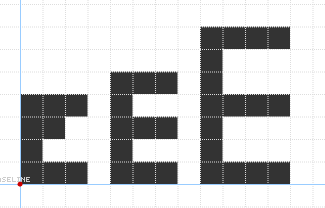 Most people start at 5 pixels tall, which gives you 3 1 pixel lines, 1 pixel apart (which you need to make the letter E). You can play around with any different size you want, bigger means less pixelly, but you can be more creative. I would start in your preferred pixel editor and start by creating a few characters before deciding to make an actual font. 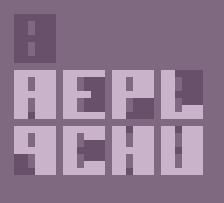 Usually once I get a style I like, I make a font template, which almost all letters can be derived from. It may be different for each font, but what works for me is an O with a line through the center (possibly what your 8 will look like). 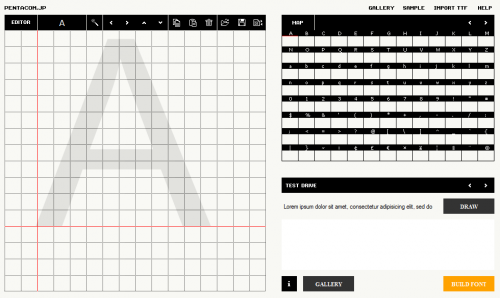 You can see how many letters can be derived by editing this simple template. 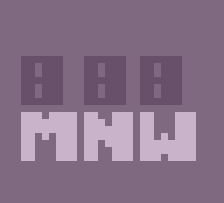 Let me just warn you, if you start making fonts, you will learn to hate the letters M, N and W. So if your name is Mawn, turn back before it’s too late. Usually with these letters, you will have to deviate from your pixel font template, so don’t be afraid to making some letters wider. 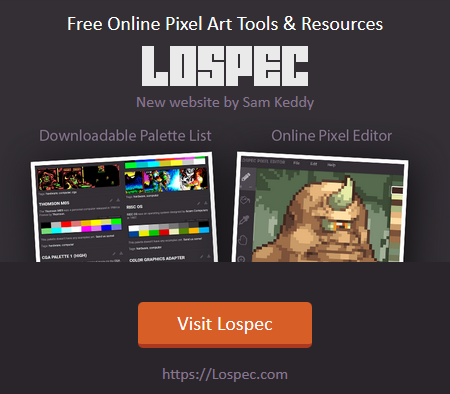 So you’ll have to play around, and make some hard decisions, but that’s what we pixel artists do. Once you’ve got it figured out, turn it into a font using one of the tools above and share it with the world. If you found this helpful, or have any other tips to share, leave us a comment below!